Desjardins Sécurité du Bâtiment offers high-quality intercoms. 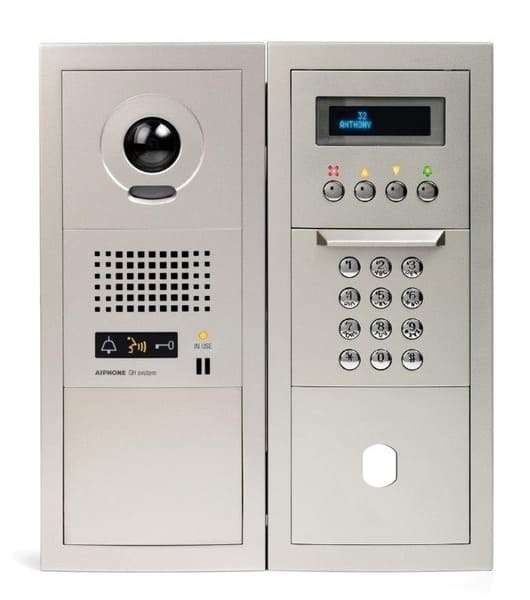 Our residential and commercial intercom systems are easy to use and efficient and bring you enhanced security. We also offer reliable installation and repair services of popular intercom brands such as Farfisa, Fermax, Viscount, and more. We put our expertise to work to ensure our customers’ security. By calling upon our services for your residential or commercial intercom needs, you are sure of doing business with knowledgeable experts who are professionally qualified to carry out the work. For almost 60 years now, Desjardins Sécurité du Bâtiment has been a reference in state-of-the-art alarm systems and safety devices. Contact us today!